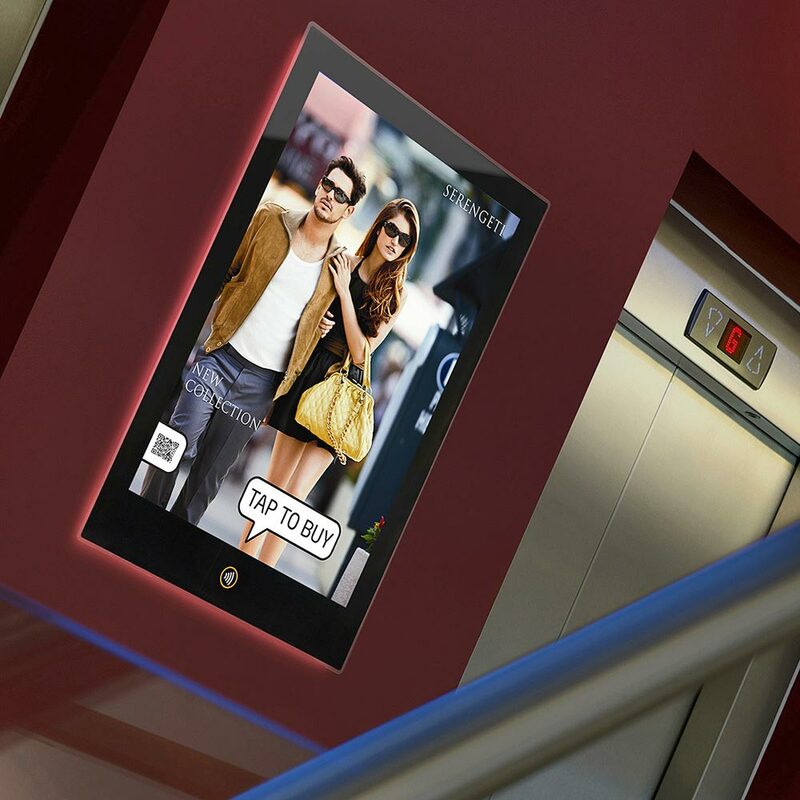 Enlighten™ is a revolutionary new smart poster system that delivers enhanced customer engagement through NFC (near field communication) technology, which is changing the way people interact with the brands and marketing messages that surround them. 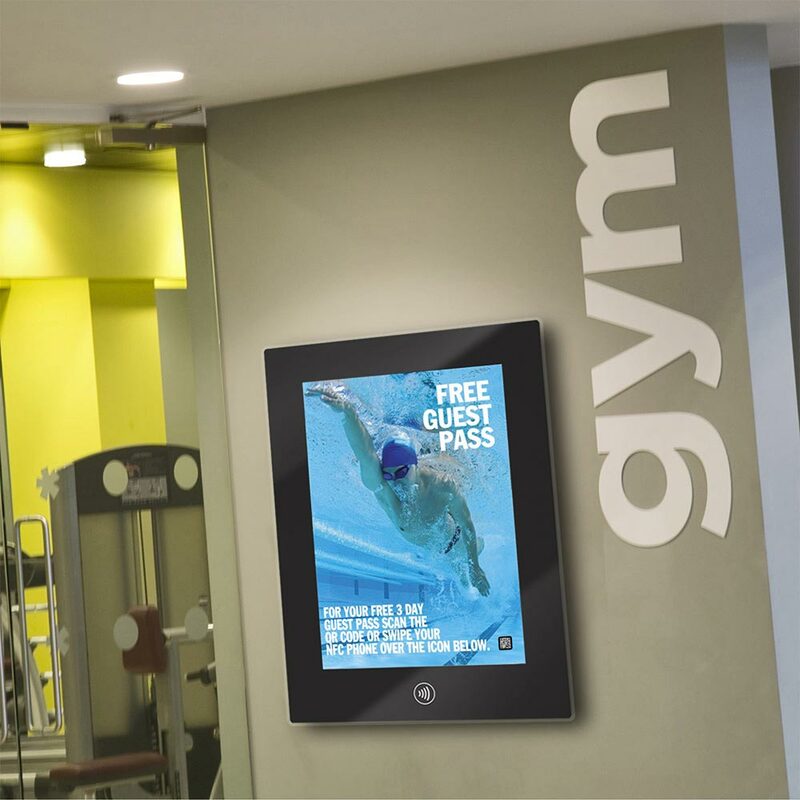 Innovative and ultra stylish smart poster display system that sells products, delivers messages and directs people, instinctively. 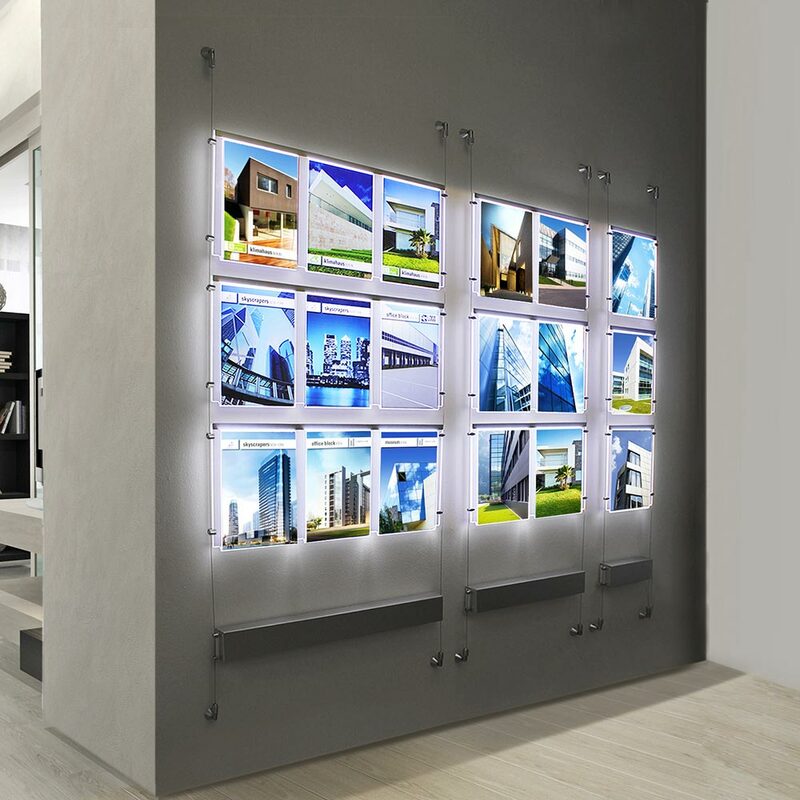 Enlighten™ displays back-lit media beautifully within a sustainable composite frame that's embedded with rare earth magnets and covered with an edge-to-edge acrylic face that looks and feels like glass. 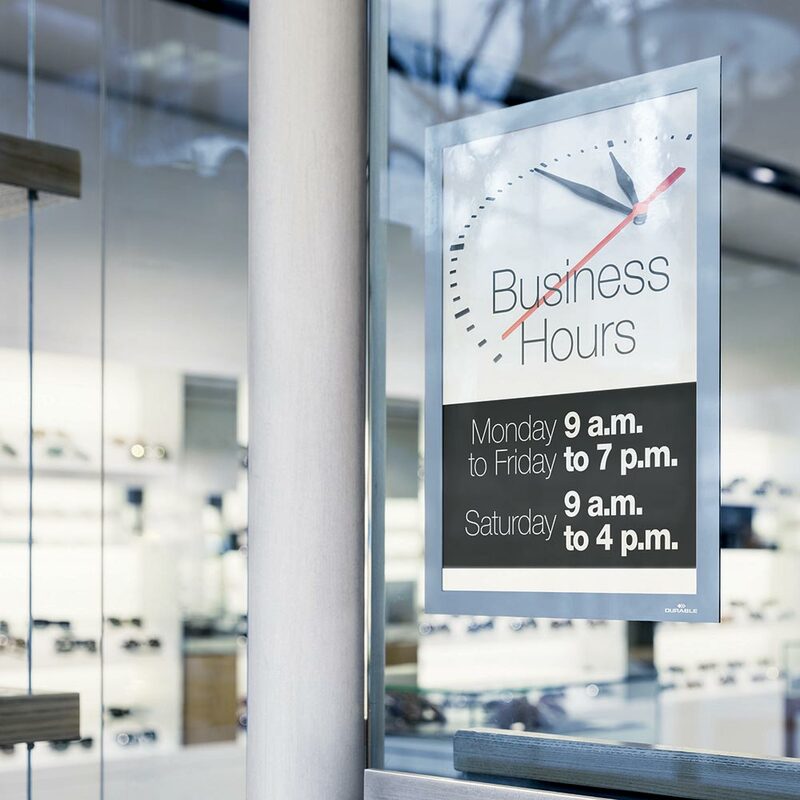 Enlighten™ is energy-efficient too; its ultra-bright, low voltage LED light sheet illuminates with outstanding energy efficiency that qualifies for ECA's (Enhanced Capital Allowances). 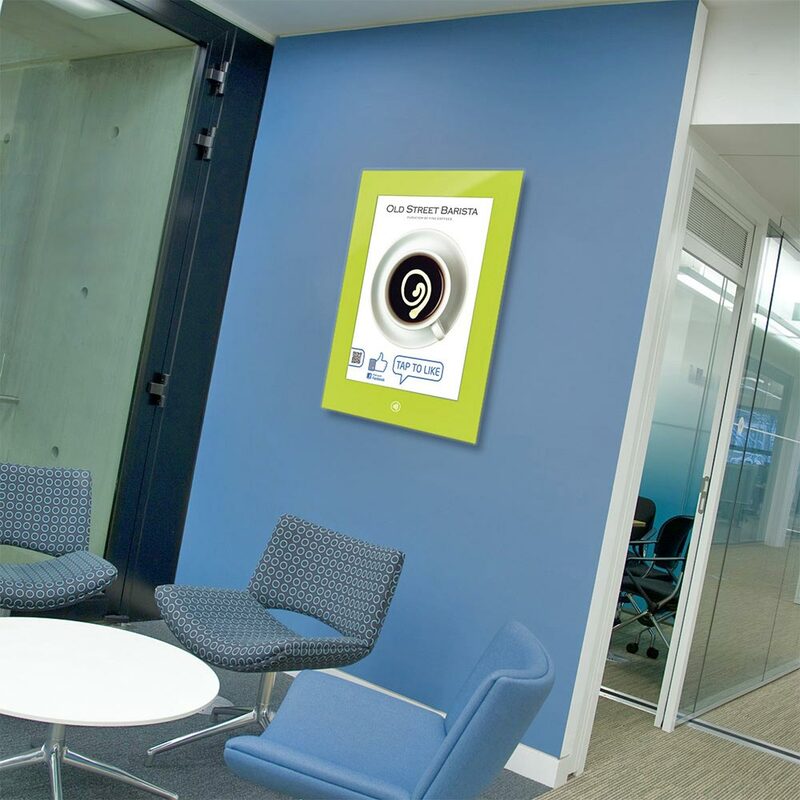 Companies can reduce both corporation tax and carbon footprint simultaneously. 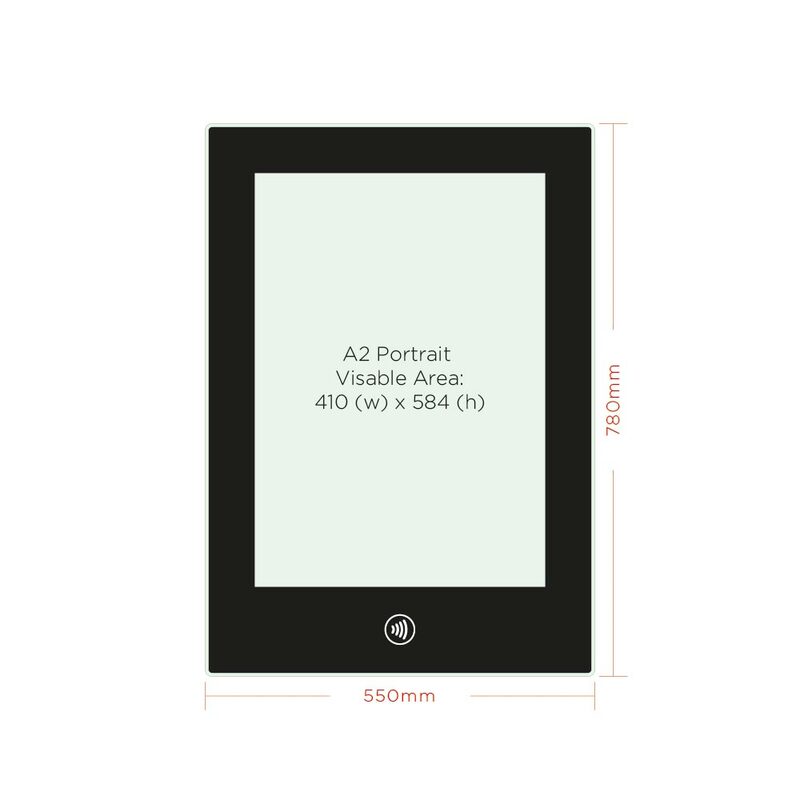 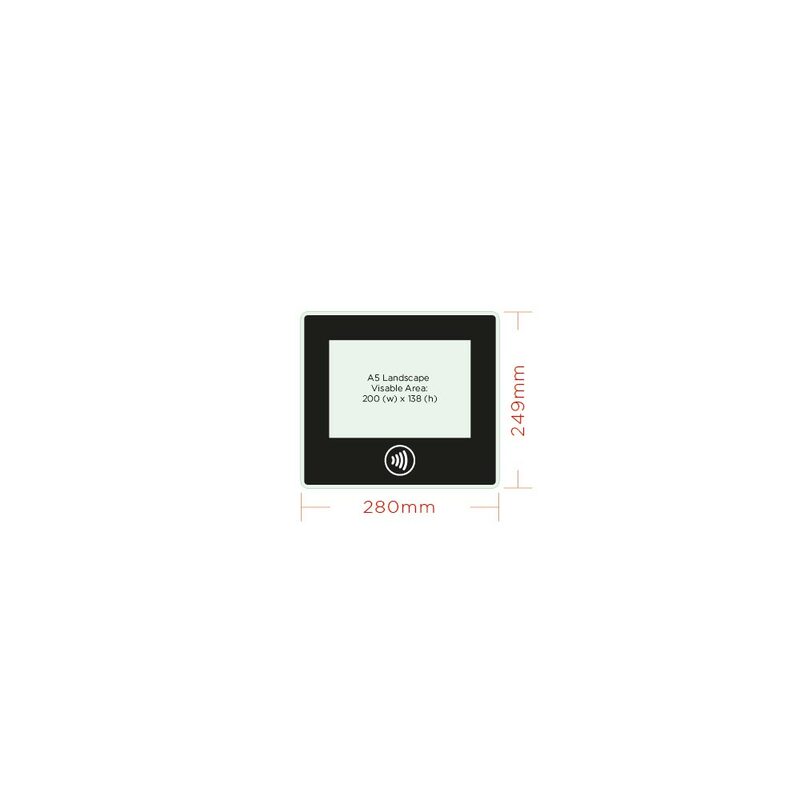 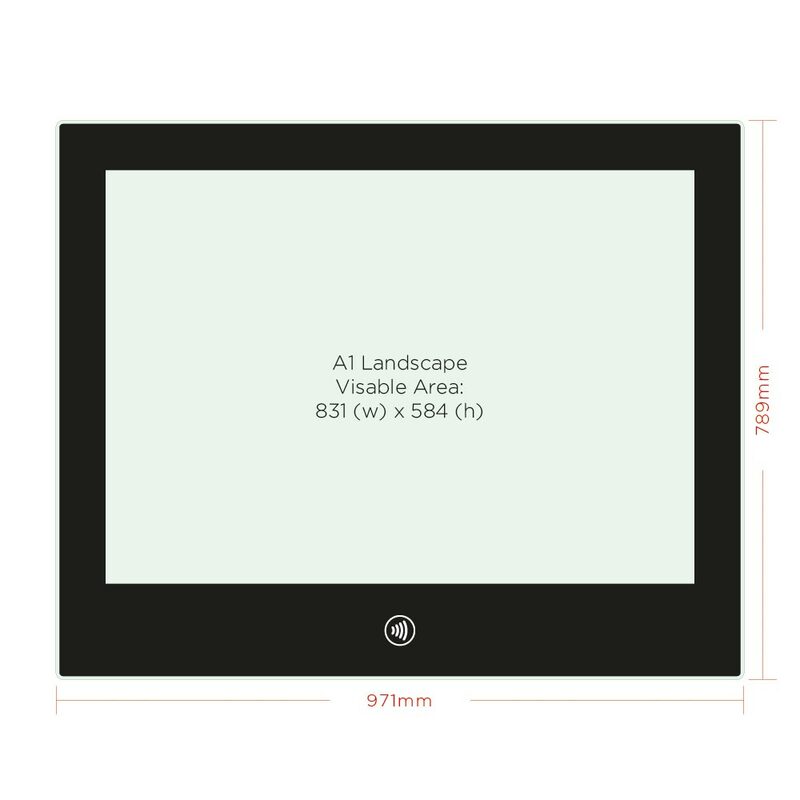 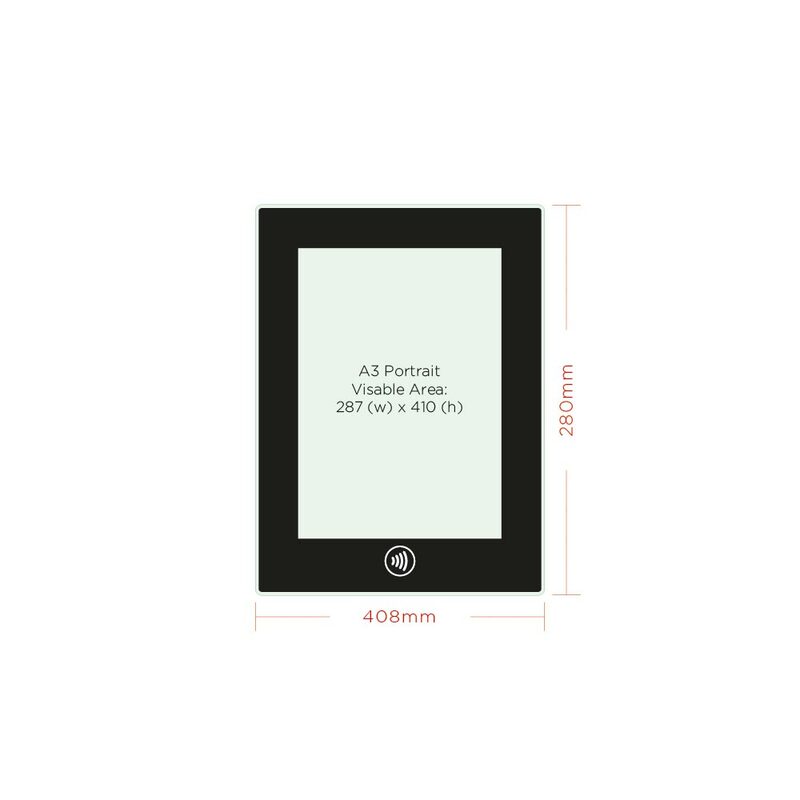 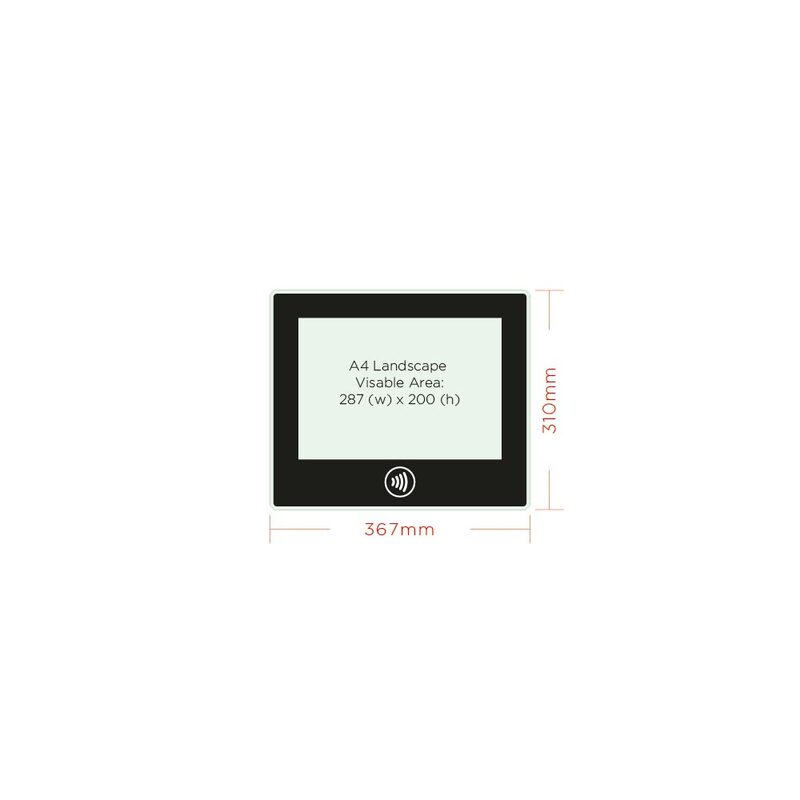 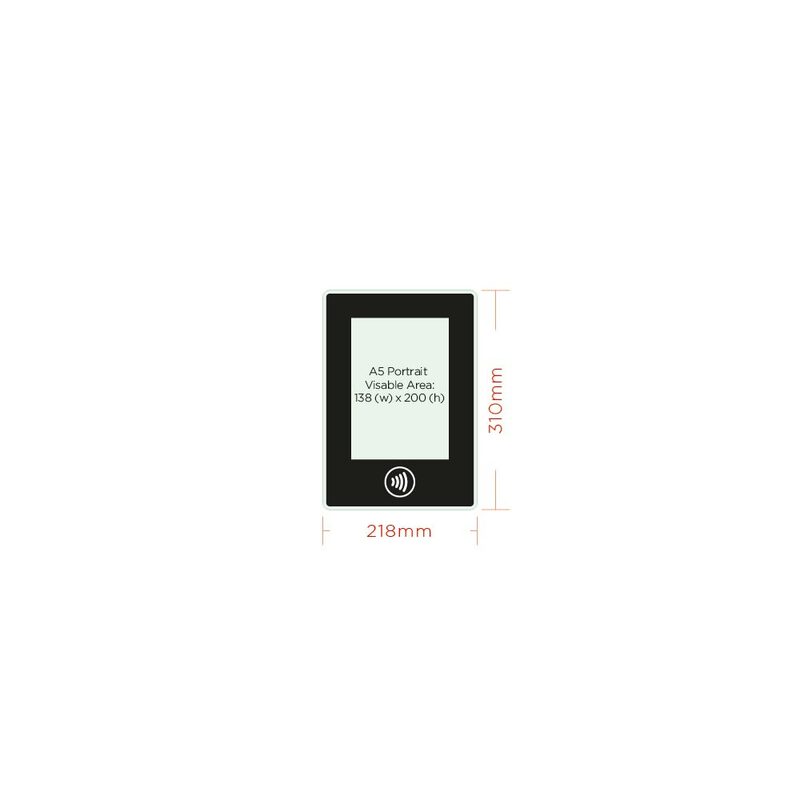 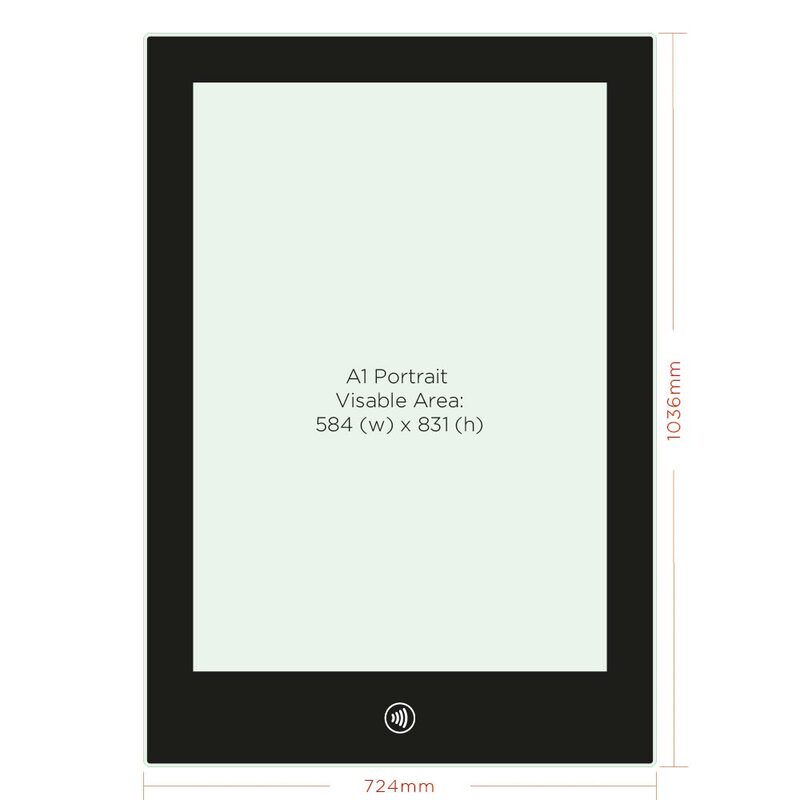 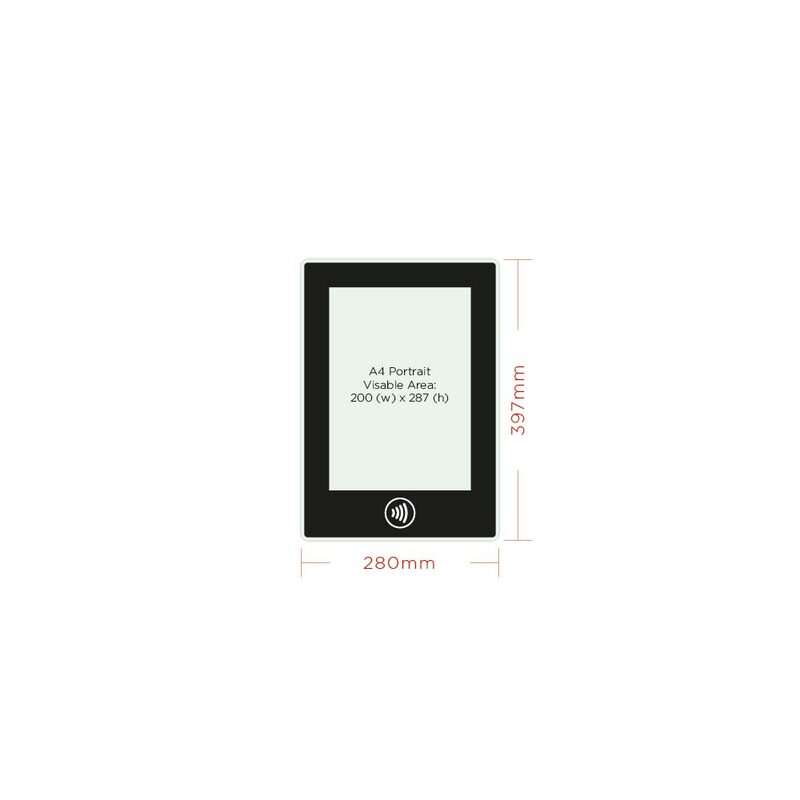 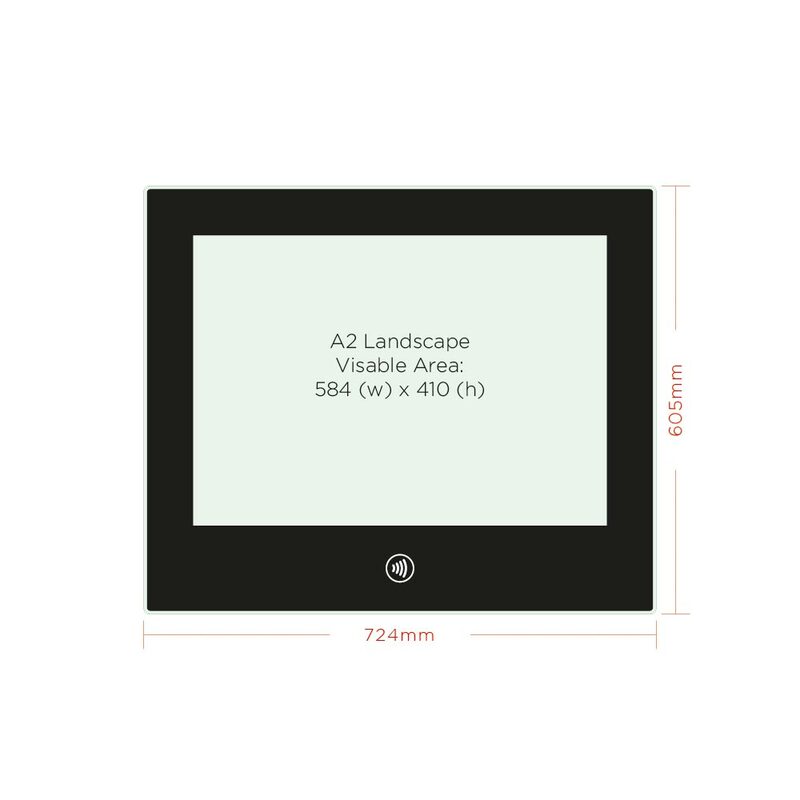 Available in standard A series paper sizes from A5 to A1, in both illuminated and non-illuminated displays. 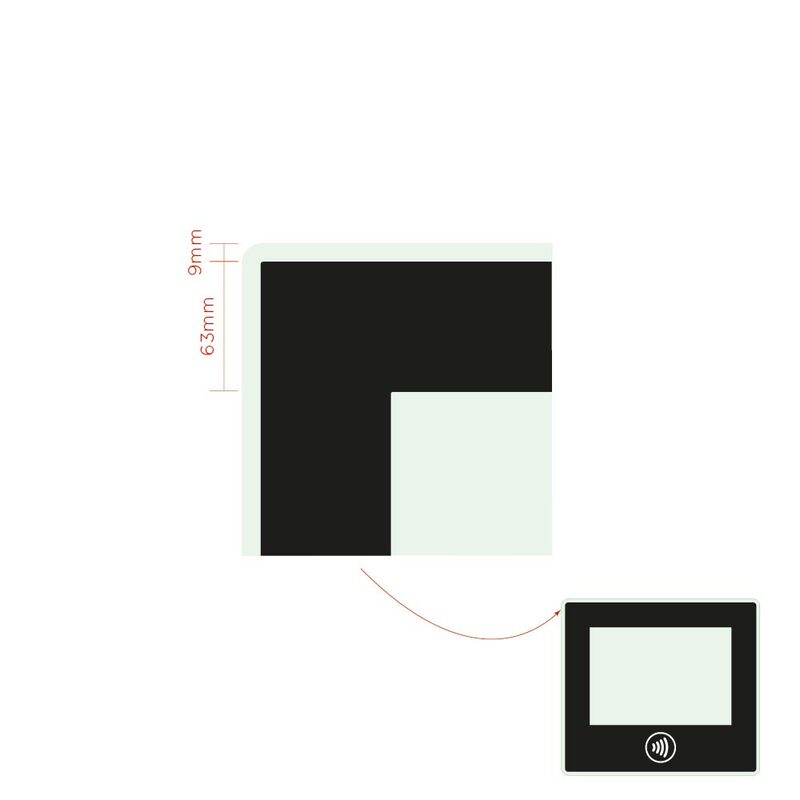 A black or white mount is available as standard with branded or custom colour mounts available to order. 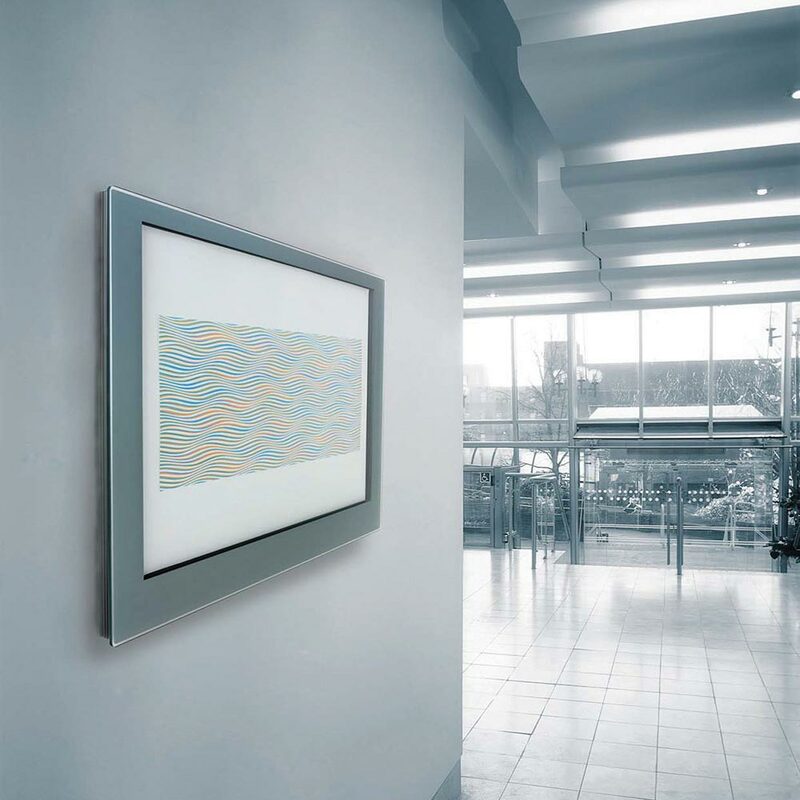 Signbox can also print your media direct to virtually any surface on our Durst Fine Art industrial inkjet, please contact our sales team for further details. 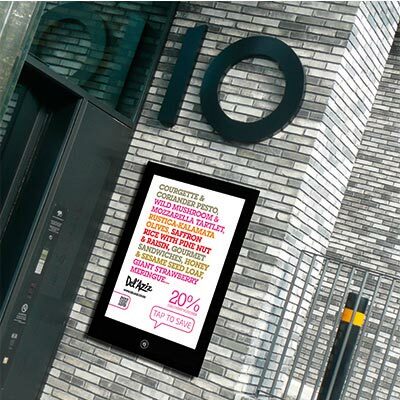 We also supply Enlighten External NFC smart posters for outdoor locations.